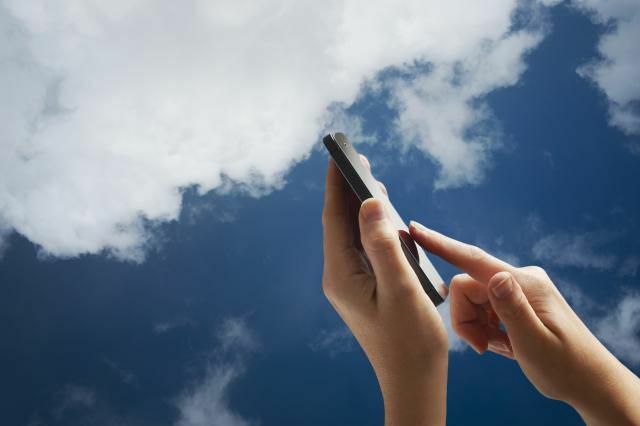 Cloud computing is now beginning to dominate in many establishments, including the mobile industry. While this is very good news for all parties concerned, including cloud providers and enterprises, there is yet a general lack of knowledge about the different types of clouds. Similar-sounding terms are erroneously used interchangeably, thereby creating even more confusion in the minds of users of the technology. In this article, we bring you a clear explanation of the most commonly used terminologies of SaaS, PaaS, and IaaS, also letting you know how these are relevant in the mobile milieu. SaaS or Software-as-a-Service is the most popular type of cloud computing, which is also the easiest to understand and use. This cloud application services basically employs the use of the Web to deliver applications. These services are provided to the concerned client by a third-party vendor. Since most of these applications can be accessed directly from a Web browser, clients do not need to install or download anything onto their own personal computers or servers. In this case, the cloud provider supervises everything from applications, data, runtime, servers, storage, virtualization, and networking. Using SaaS makes it easy for enterprises to maintain their systems, as most of the data is managed by the third-party vendor. PaaS or Platform-as-a-Service is the toughest to manage from among the three. As the name suggests, the resources here are offered via a platform. Developers then use this platform to create and customize applications based on the framework made available to them. Provided that the enterprise has an efficient development team, PaaS makes it very easy for development, testing, and deployment of apps in a simple and cost-efficient manner. The essential difference between Saas and Paas, therefore, lies in the fact that the responsibility of managing the system is shared by the user or client and the provider as well. In this case, providers still manage servers, storage, runtime, middleware, and networking, but it is up to the client to manage applications and data. PaaS is therefore highly versatile and scalable, while also eliminating the need for the enterprise to worry about network downtime, platform upgrades and so on. This service is most preferred by large companies, which have the manpower for it, also seeking to enhance interaction among their staff. IaaS or Infrastructure-as-a-Service basically provides computing infrastructure, such as virtualization, storage, and networking. Clients can purchase fully outsourced services, which are then billed in accordance with the resources they use up. The provider, in this case, charges a rent to install the clients’ virtual server on their own IT infrastructure. While the vendor is responsible for managing virtualization, servers, storage, and networking, the client has to take care of data, applications, runtime, and middleware. Clients can install any platform as required, based on the type of infrastructure they opt for. They will also have to manage the updating of newer versions as and when they become available. The mobile development industry is always struggling to keep pace with the rapid pace of evolution in technology and constant changes in consumer behavior. That, combined with the extreme degree of fragmentation of devices and OS’, results in these organizations having to deploy applications for multiple mobile platforms in order to give their clients the best possible user experience. Mobile developers are looking to adopt hitherto untried approaches and leverage newer technologies to help save them time and make more money in their venture. The cloud inevitably beckons such individuals and companies to develop newer apps and deploy them to markets at a much faster rate than ever before. PaaS is coming to the fore in the field of mobile development and this is especially the case with startups, which get enough infrastructure support, especially for deploying apps to multiple platforms, without having to spend time on the setup and configuration of the same. Cloud-based systems are also used to develop Web and mobile analytics tools, which are designed to oversee source code management, testing, tracking, payment gateways and so on and so forth. SaaS and PaaS are the preferred systems here as well. Many organizations are still a bit reluctant to jump into the cloud computing bandwagon. However, the scenario is changing fast and it is expected that this technology will catch on quickly with most companies in the near future. The mobile industry is undoubtedly one of the earliest adopters of the cloud, as it saves developers much time and effort, while also improving the quality and quantity of apps delivered to the mobile market.